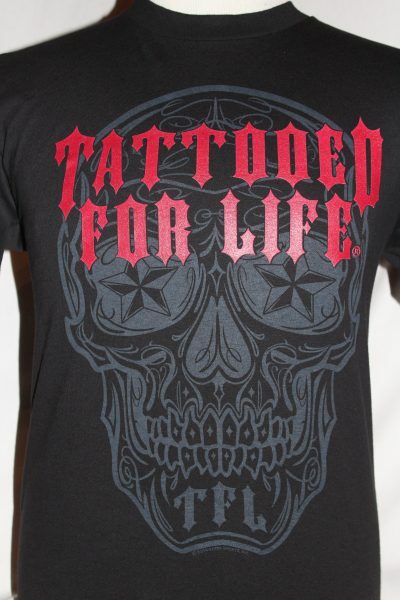 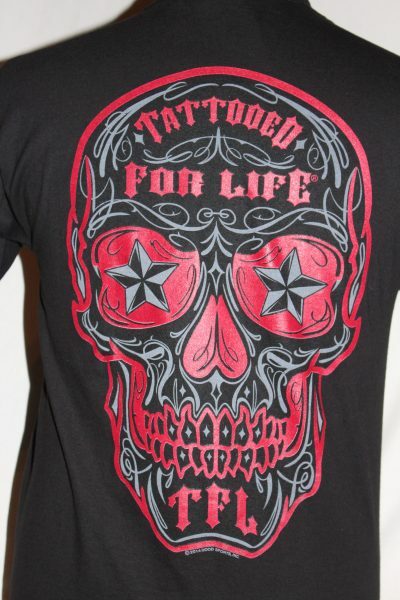 The Tattooed For Life T-Shirt is a two sided print in black. 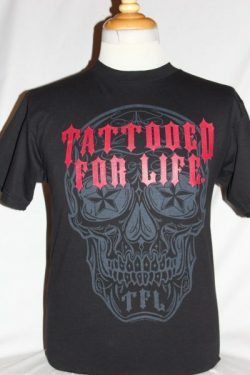 Front Design: Text in red superimposed over a large skull in grey. 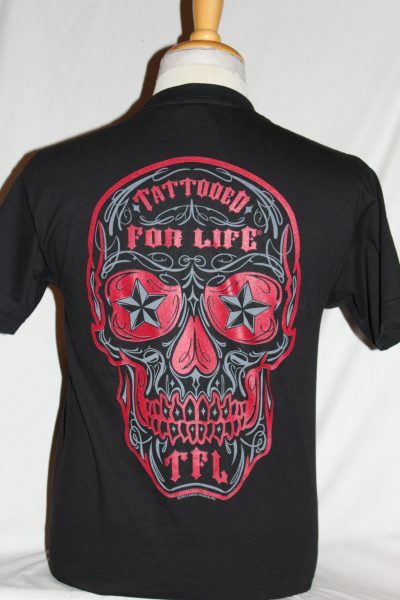 Back Design: A large skull in red and grey with text.